"Welcome to the deer valley specialists"
Craig and Delia Reece on Vimeo. Craig and Delia Reece welcomes you to DeerValleySpecialist.com, your best resource for learning about and finding your Deer Valley and Park City mountain dream home. Our website allows you to browse all Park City MLS® Property Listings in the Park City Board of REALTORS® Multiple Listing Service which includes all Park City and Deer Valley homes, condos and land for sale, as well as new and notable Park City ski-in ski-out developments and golf communities. If you need any guidance, we are LOCAL Realtors® specializing in the Park City and Deer Valley communities. Deer Valley® real estate provides the perfect winter getaway for sports enthusiasts who love both the pristine, powdery snow of Utah's most prestigious ski resorts in the winter, and the rugged activities that make the area such a hub of outdoor adventure in the summer. Nestled within the backdrop of the Rocky Mountains, Deer Valley® provides one of the most upscale real estate markets for adventurous couples and families seeking a way to enjoy the great outdoors. Deer Valley® homes are located in the Deer Valley® Resort, one of Utah's most prestigious ski resorts. Just minutes from historic Park City, the entire area is one of immense beauty and outdoor luxury. Deer Valley® is consistently ranked among the top three ski resorts in all of North America, and it draws people from all over the globe thanks to its incredible slopes, luxurious lifestyle, and inviting local atmosphere. Most of the available Deer Valley® real estate can be found in private, gated communities that pride themselves on a high level of comfort and amenities the whole family can enjoy. For skiers and winter enthusiasts, there are slope-side private residences, ski lounges, and ski valet services available. 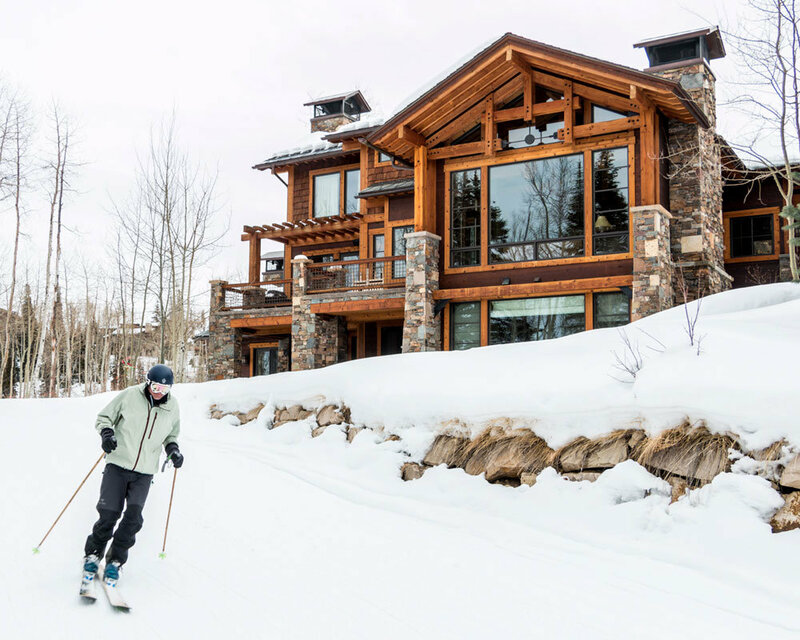 These are offered on top of resort services like professional ski instruction and carefully groomed slopes, which make Deer Valley® homes some of the most sought-after vacation and second homes in the country. While the incredible panoramic views and majestic mountain peaks are difficult for outdoor enthusiasts to ignore, there are plenty of things to do inside, as well. There are pools and spas offered as part of the entire Deer Valley® Resort and Deer Valley® condominium experience, and there are several opportunities for upscale shopping and fine dining in both Deer Valley® and neighboring Park City. Many residents choose to live in their Deer Valley® condos during the winter months, when the community comes alive with couples and families on a luxury getaway. However, Deer Valley® real estate is also an incredible place to live during the warmer summer months, when it transforms to a more quaint and rustic, small-town community with big-name concerts, incredible hiking trails, mountain biking opportunities, and golfing at nearby courses. Because Deer Valley® is only a short drive from Park City and Salt Lake City, it's also an ideal place for those who want to feel attached to the bigger city without ever losing touch with the incredible natural backdrop built by the craggy mountain peaks. When you purchase a Deer Valley® condominium or other Deer Valley® real estate, you get more than just a place to call home you get a chance at a whole new way of life. The winter sports here are one-of-a-kind, and many people find that the welcoming community is one that inspires the artist inside to begin a new lease on the luxury lifestyle. From small, cozy condos to spacious luxury homes, there are options available in Lower Deer Valley®, Upper Deer Valley®, and Empire Pass for families of every size. These incredible locations offer just the right touch of comfort for a vacation or second home, or you can find a piece of Deer Valley® real estate that will provide you with a home base for year-round activities and luxury.